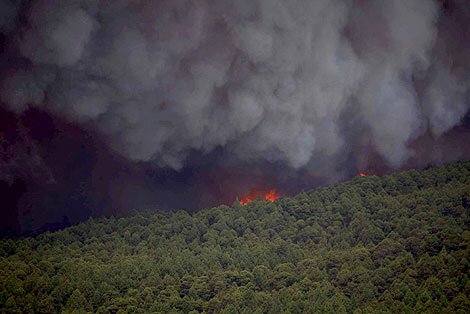 2009 is proving the worst year in forest fires in Spain in the last decade. According to a report published by the WWF in Spain (Incendiómetro 2009) 22 large fires have destroyed 10,000 ha of forest in what has been a year of normal climatological year. 70,000 have burnt in total so far at a cost of some 385m euros. WWF criticise the efficiency of extinction methods, the lack of a clear national fire policy and the serious differences between the regions in investment and environmental management. They also point the blame at the depopulation of the rural world, dying villages inhabited today by the last elderly residents. PS Apologies for not updating the Spain blog as often as I should.